Pregnant women can now finally get a prescription for a four-times-a-day morning sickness pill in the UK. 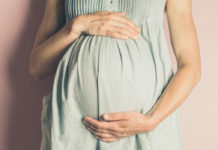 The morning sickness pill, called Xonvea, is the first of its kind in the UK to alleviate symptoms of vomiting and nausea during pregnancy since Debendox was withdrawn in the 1980s. As of summer 2019, doctors in the UK will be able to prescribe the pill after testing found it to be 23% more effective than placebo treatments. UK doctors’ reluctance to introduce the pill in this country stems from the wake of the thalidomide scandal in the 1950s, which initially wasn’t tested before being rolled out, resulting in hundreds of children being born without limbs. 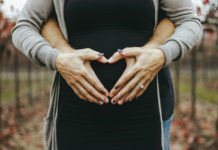 Xonvea has now undergone trials on pregnant women and bodies such as the British Pregnant Advisory Service are backing the new method of treatment. 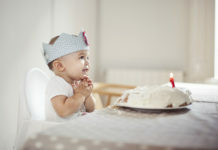 Clare Murphy, director of external affairs at the British Pregnancy Advisory Service (BPAS) said: ‘We welcome the news that finally, a license has been granted for a medication to treat nausea and vomiting in pregnancy.